The present Cheltenham Baseball Club was formed from the merger in 1972, of the Prahran Baseball Club from the Victorian Baseball Association (VBA) and the original Cheltenham Baseball Club from the Dandenong Baseball Association (DBA). The Club’s home is the Kingston Heath Reserve, Farm Rd, Cheltenham where Summer and Winter sections operate under an overall Board of Management. The Club was incorporated on 6 January, 1986. The following information is largely the result of the efforts of club stalwarts John Ferguson and Graeme Ainscough, and later work by Stephen Campitelli. It is a work in progress. Any contributions about Cheltenham and Prahran BC history would be very welcome on cheltenhamrustlers@gmail.com. 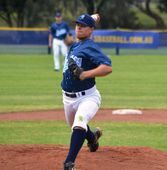 In 2000, Travis Blackley, a left handed pitcher who had not made a state team throughout his junior years, gains selection into the Victorian U18 State team in his last year of eligibility. After a great tournament, where Victoria takes out the National Championship, he finds himself representing Australia at the Under 19 AAA World Championships in Edmonton, Canada, becoming the winning pitcher against Cuba. Australia had never beaten Cuba at any level of baseball. This performance leads to the signing of a professional contract on 29 October 2000 with the Seattle Mariners. Three Life Members, Jack Wadsworth, Alan Tanner and John Ferguson, are awarded the Australian Sports Medal for services to Baseball in 2000. The Winter section gives a sign of monumental things to come when it starts the decade with the 2000 A Reserve, D, E Grade, U16 and Tee Ball flags. 2001 is an even bigger year for Winter when Club Coach John Wadsworth delivers the DBA A Grade Premiership against Frankston, the first A Grade flag for 13 years. The club’s A Reserve, C, D, E, U16s and U12s all win their respective premierships that year and the club again wins the Club Championship, which it had done for several years. 2002 produces back-to-back DBA A Grade premierships and further flags in A Reserve and E Grade. The World Masters Games come to Melbourne and the Club has great support from its veterans when 17 Club players participate in the 35-and-over and 45-and-over divisions at the new Geelong Baseball complex. Playing for the Melbourne Rustlers in the 45-and-over Division, John Ferguson, Kevin Williams, Lawrie Hall, Lance Blackley and Colin Upfill win Silver Medals. The A Grade side win their 3rd consecutive DBA flag in 2003. In 2002-03, Shawn Miller, a player with professional experience in America and in the Australian National League (ABL) is appointed Club Coach and First Nine Manager. The Club also brings out US Mariners player Justin Leone to help out for the season. Justin’s big bat, great play at shortstop and general influence around the club is fantastic. 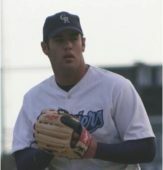 Justin goes on to play Major League Baseball on his return to America with the San Diego Padres and Seattle Mariners. Adam Blackley signs a professional baseball contract with the Boston Red Sox. Winter section takes out the DBA A grade flag as well as the U16 and U14 premierships. Chelt tee ballers take out the tee ball championship. Matthew Gourlay takes over as Club Coach and Manager of the First Nine with the Club back in Division 1 for the Summer season. On 1 July 2004, Travis Blackley makes his MLB debut for the Seattle Mariners against the Texas Rangers, pitching 5 innings for the win and coming off the diamond to a standing ovation from the 65,000+ crowd in attendance. A huge junior season: in a stunning sweep, for the first time the U14s, U16s and U18s win the three State League Junior Premierships. The under 14s defeat Waverley 9-8 with Pat Liston taking out the MVP. The under 16s defeat Essendon 6-2 with Josh Mulherin winning the MVP. Tom Ellis is the star of the U18 Grand Final taking out MVP honours with 2 home runs and an outstanding performance on the mound in their 5-4 win over Geelong. Winter Rustlers go back-to-back in A grade, as well as winning A2, A3, B1, U16 and U12 flags. Major club achievement: DBA A Reserves win Grand Final with amazing individual performance from Steve Babidge pitching all 17 innings with NO walks in the 6-4 victory over Frankston. One of the all-time classic individual club performances. Ricky Wheeler takes out the DBA A Grade MVP award. Summer 1sts in Division 2 loses 2-3 to Sandringham in the finals. Summer U18 State win back-to-back Premierships with Kevin Williams as Manager. Tom Ellis again wins MVP of the Grand Final. U18 Metro Runners-Up. VBA Div 2 Seconds Premiers, first senior VBA flag in 5 years; Thirds are Runners Up. Andrew Gribbin signs with San Diego Padres. Tom Ellis signs with Seattle Mariners. The Winter Section, with David Clarkson as Club Coach and Firsts Manager, wins the ‘05 DBA A Grade Premiership. It was with much sadness that the Club saw the passing Stan Hogben, an A Grade pitcher in the 1950’s, life member and great clubman. 2006 Winter Firsts ‘three-peat’ with their third consecutive DBA premiership under coach Dave Clarkson and star players Andrew Russell, Matt Gourlay, Ricky Wheeler and Daryn Cassidy. Summer 1sts back to division 2 where we finish Runners-Up to Doncaster in Division 2. Outstanding pitching performances by Kable Hogben over the finals series helps lift the Club back into Division 1. U18 State miss winning a third consecutive flag by the barest of margins in hard fought Grand Final against Waverley. Kable Hogben becomes the 6th Rustler to ink a pro contract in the US when he signs to pitch for the Arizona Diamondbacks. Winter A2s win the premiership, along with the U14s in an unusually barren year for the Winter section. Life Members Night held at the Clubrooms with over 20 Life Members in attendance. Adam Blackley selected in the Australian Team to play in the Intercontinental Cup in Taiwan and is awarded the Pitcher of the Tournament. Summer section back in Division 1 with Matt Gourlay as Club Coach and Manager of the First Nine. The Firsts struggle to put together nine full innings of quality baseball against stronger Division 1 teams. The pitching of Tom Ellis (ERA 2.74) and Blake Cunningham keeps the team in games, but the batting, with the exception of Dan Williams (BA .364) and Jason Cousins (BA .311), fails to make the most of limited opportunities. The Club Champion Award is shared by Tom Ellis and Dan Williams. Although the Firsts fail to retain a position in Division 1, the depth of the senior list continues to improve. Matt Gourlay’s focus on development sees 27 players given the opportunity to play at the top level in Victoria and this is to prove invaluable in future years. The Seconds, managed by Matt Coppens, enjoy a very successful year, winning games from virtually any position and making the Grand Final. Dale Ravesi on the mound, Jarrod Hall at shortstop and Tony Cevec at the plate have outstanding seasons. U18 State and U18 Metro teams are Runners-Up. Enclosed dugouts and benches completed on Diamond No 2. Nathan Aron signs with the New York Yankees as an outfielder. He is the 7th Cheltenham player to sign professionally and the first to do so as a positional player. An outstanding achievement for club and player. Chelt takes out the DBA A grade, A3, U16 and U12 premierships. Daryn Cassidy takes out the DBA A Grade MVP award. Back to Division 1: The Club enjoys a very successful season, winning both the Division 2 Premiership and the Club Championship with Craig Kernick as Club Coach and Manager of the First Nine. Coming from outside the Club, Craig’s fresh approach and astute game day management, leads to many new players getting an opportunity to play in the senior side. Tony Cevec is MPV / Club Champion and Russell Ferguson (BA .363) leads the batting. The pitching of Kable Hogben, Tom Ellis, Blake Cunningham and Dale Ravesi is outstanding. The Seconds finish on top of the ladder (12 wins and 2 draws), but lose a close-run semi final 6-8 to Upwey before being overwhelmed 3-13 by a stronger and more experienced Fitzroy in the Preliminary Final. The pitching staff lead by Dale Ravesi combine for 8 shutouts over the season, which has to be a Club record. Four of the 6 senior teams make the finals. The Club field 16 junior sides. All the Friday night sides are competitive while the Sunday sides again have their ups and downs. The pitching practice mounds are constructed in right field. Work on this initiative is lead by Peter Katz who is also responsible for extending the netting on the junior diamonds and the upgrading the safety screens used for practice. Winter section have a huge 09 season with club coach Dave Clarkson’s A1s taking out their 7th A Grade flag in 9 seasons. The A2s, A4s, U16s, U14s and U12s all take out flags in a very successful season, with the A3s making the final, but falling short to Dingley at the final hurdle, preventing a full DBA Senior-Junior clean sweep. Hayden Dingle is appointed Club Coach (Summer) and Manager of the First Nine and his outstanding leadership, both on and off the field, lift application and intensity across the board. The Club consolidates a place in Division 1, finishing in sixth position with 16 wins and a draw in 33 games; 6 wins short of making the finals. The Firsts win 7 of their 15 games against the 5 teams that finished in front of them on the ladder and provide a good indication that they are well-placed to achieve the goal of playing finals baseball next season. Hayden is instrumental in bringing Paul Wiechardt and Paul Rutgers to the club, who have both had professional and international experience, and Daniel Mack, a proven and successful player in Division 1, to strengthen the offense and to added maturity to the team. Matt Gourlay has an outstanding season to be Club Champion and Paul Rutgers (BA .325) leads the hitting. The remaining 6 senior sides are all competitive in their divisions with 3 sides making the finals. Overall, the Club fields a massive 34 teams making it one of the biggest clubs in the country. Tee ball (10 teams) and U12 (6 teams) are run as internal Centres at the club and the high level of presentation attracts positive feedback. Our juniors are competitive in all grades with 4 of the Sunday teams making the finals. The U14 State team coached by Dave Stenhouse win the State League title in a huge 7-6 upset win over overwhelming favourites Waverley. The club also starts fielding teams of Korean players in an exciting collaboration for the club. The teams are filled with Korean expats living and working in Melbourne looking for a game of baseball. The club agrees to let them play together under the Cheltenham name. The batting tunnel is completely refurbished with upgraded lights, matting and soft netting. It was with deep sadness that the Club saw the passing of two of our life members: Jim Upfill and Kevin Williams. Both are greatly missed. Winter Rustlers again taste premiership success with the rampant A1s, A3s and B3s all taking 2010 DBA pennants. With Matt Blackmore and Blake Cunningham leading the way in 2010, the A1s now make it 3 for 3 in 08-09-10 seasons with Dave Clarkson’s team dominant in home and away and finals. Underscoring that dominance, the club has now won 9 of the past 11 A grade winter premierships; a remarkable achievement. Unusually, no junior Rustlers flags this season. Summer: 1st grade summer finals! 1st time in 33 years! Summer Rustlers not only consolidate their position in Division 1 under 2nd year player-manager Hayden Dingle, but do what no other Cheltenham 1sts team has done for 33 seasons and make Summer League Division 1 finals. After taking the first final in a best-of-three series against Geelong, the Rustlers get overrun in the 2nd and 3rd games to bow out, but not disgraced; the club has put other clubs on notice. The club steadily continues to build its base of players fielding a very healthy 25+ senior and junior teams, including 4 teams made up of Korean nationals. This breadth of teams in all playing divisions makes Cheltenham again not only one of the biggest clubs in Victoria, but in the country. The A1 winter Rustlers make it 4 for 4 with another DBA senior premiership. In an outstanding run of success Dave Clarkson’s A1s defeat Berwick for their 4th premiership in as many years, and the club’s 9th DBA 1sts flag in the past 10 years – an absolutely stunning achievement. The Under 16s and 14s also take out premierships in their divisions. Summer 2011-12 again do well in Division 1 finishing a credible 6th on 16 wins, 10 losses and 4 draws under 3rd year player-manager Hayden Dingle. The Division 1 4ths go back-to-back as Premiers. The club also fields 6 Korean teams for an incredible total of 11 senior teams for the season. Standouts in the 1sts this season include Steve Gourlay who shoulders most of the pitching load and MVPs for the 1sts; Rookie of the Year Jarrod Hall who holds down an infield post for most of the season and under 18s star Ben Leslie (left, top) who wins the 1sts batting award, Junior Club Champion and U18 MVP. Ben Leslie also becomes the 8th active Cheltenham player to sign a professional US contract when he signs with the San Francisco Giants. Travis Blackley also returns to play for the club. Travis signs a US pro contract with the San Francisco Giants after some outstanding performances with Korean club Kia Tigers in 2011 and ABL club Melbourne Aces in 2011-12. He is later claimed by the Oakland A’s off waivers and is added to the active 25 man roster. He starts against the Minnesota Twins on the 28th of May and goes 5 innnings for 1 earned run and no decision, but the result is almost secondary as the appearance represents Travis’ first MLB start since 2007, a fantastic achievement. Chelt’s other active professional, Kable Hogben, returns to the Arizona Diamondback’s Single A affiliate South Bend Silver Hawks to continue working his way up the professional ladder. After 6 years at the helm, John Carlile steps down as Summer President having guided the club to financial health and enormous playing numbers. Well done John. In summer juniors the club fields a massive 230+ juniors each week across 25 teams from teeball through to under 18s: again, these figures make the club one of the largest baseball organisations in the country. We gain 3 summer junior premierships: Friday Night Under 12 Phillies, Friday Night Under 14 Yankees and the Sunday comp Major League Under 14A’s (left) – the 2nd U14s State league crown for the club in 3 seasons. The Winter section enters 5 senior teams in DBA competition: A1s, 2s, 3s, 4s and B3s, as well as teams in each of U17s, 15s, 13s and 11s (the DBA re-aligned age groups in 2012). The Winter A1 Rustlers enter season 2012 looking for an incredible 5th consecutive DBA 1st grade premiership flag under long time coach Dave Clarkson; and they do it in emphatic fashion with a 10-1 Grand Final win over Dingley led by ‘next-gen’ youngsters Ben Leslie, Brett Curnow and Yoshi Campitelli – all under 18s. The 5-peat flag represents an incredible 10th A grade DBA flag for Cheltenham in the last 12 winter season campaigns – an unprecedented mark in the competition. The club also has 4 other teams reach grand final day: A2s who lost in a 12 innings thriller, A4s, U17 White and U15 Blue – an excellent effort. Summer fields an impressive 11 senior teams (including 5 All-Korean teams and its very first Masters team in Division 2 South) and a whopping 22 junior teams spread over Friday night and Sunday morning baseball; for a total of 33 teams. The club is putting out 300+ players each week on baseball diamonds in a great contribution to the health of the game. Club President Lance Blackley has his first year at the helm of the club. Club stalwart Graeme Ainscough was recognised by Baseball Victoria for 60 years continuous service to the game in 2013 at the BV Awards Night. Summer Rustlers enters its 4th year under player-manager Hayden Dingle finishing the season in finals again. The club welcomes US import Rob Roth to the club. Rob, hailing from Idaho and a former Phillies draft pick, comes to the club as a pitcher, and does that for most of the season, but ends up on the other side of the plate catching, as the Rustlers experience a shortage of experienced catchers. Another player to get behind the dish is 15 year old Mitchell Holding who does the job for a number of games very well, a highlight being a big game down at Geelong where he did the job on both sides of the plate catching Rob, then hitting a bomb. Mitch wins both 1st Coaches Award and Club Rookie of the Year. The Rustlers play eventual premiers Essendon in a best-of-3 semi final series and go down 3-2 in both games on the back of two almighty pitching performances from Blake Cunningham in game 1 and Adam Blackley in game 2, showing that, at their best, the Rustlers are very competitive. The Division 1 4ths three-peat for the premiership in a mercy rule 11-1 result. They dedicate the win to recently deceased Gab Taranto (click here read a club tribute to Gabby), a much loved club member and mother of 4ths player Stefan Taranto. The club also fields its first ever Masters lineup. Cheltenham players have played in individual masters teams prior to this, but this is the first all-Cheltenham BC Masters team fielded officially in competition by the club. The team, aka the ‘Mustlers’, plays in the Division 2 South section and goes 10-3 regular season, making finals in 4th place. The team goes down by 1 run to Bonbeach in a great game, taking it all the way down to the wire. In juniors, the club manages 2 premierships; one in Major League under 16s as Ron Carothers’ 16 Blues take the big one 5-4 over Waverley having finished the season with an impressive 18 wins against 1 solitary loss. Max Barrett wins the MVP award on the back of an excellent pitching display and 2 hits with the bat. The State League / Major League run of premierships in the 2000s points to an ongoing strength in the junior program made possible by a core of dedicated coaches and such tireless club workers as Junior Coordinator Peter Leslie and club stalwart John Ferguson. The other junior flag was taken out by Under 16AA team in their fantastic win over Newport 13-4. The Club is also successful in obtaining a uniform grant ($1000) from the Department of Planning and Community Development to support the transition and retention of TeeBallers as they move on to Little League (U12). The grant is used to help set up a rental system for playing tops (the major cost item). This approach will also reduce the entry costs to new players seeking to start baseball at the little league level. 2013 sees a change of winter president as long-time club head Dave Stenhouse makes way for Pat O’Neill. The club fields 5 senior teams with the 1sts again under the guidance of long time mentor Dave Clarkson. In an unusual result, the 1sts go down in consecutive finals and fail to the make the GF for the first time in many years. In a somewhat barren year for the club flags-wise there is only 1 premiership and it is the under 17 team entered in the MWBL – the first time Cheltenham have entered a team in the Melbourne Winter Baseball League. The MWBL clubs probably wish we hadn’t as the team goes through a perfect 16-0 season culminating in a 6-4 premiership win over GMBC. Summer section enters season 2013-14 under new manager Matt Tayler. Matt takes over from Hayden Dingle at the helm of the club, having served under Hayden as an assistant for 3 years. Joining Matt in the coaching ranks are long time assistant Laurie Hall, Stuart Adams and recently-retired club legend Matt Gourlay. Long time Cheltenham club stalwart Michael Gourlay (left) retires from Baseball Victoria official duties after 23 years in varying capacities serving the game in wonderful manner at club, State and National level. Michael, father of Chelt players Matthew and Steve, has made a huge contribution not only to the club but to the wider sport of baseball in Australia. The club welcomes new international player Ryan Bean from the US. Ryan, hailing from Washington, comes to the club as a pitcher. The club also has long time ABL player, Australian star and ex-Phillies player Brad Harman on the summer roster. The club fails to make finals, somewhat disappointingly, finishing 3rd in the newly formed East Conference in the split conference system.